With a name like BarCamp it’s no wonder Aussie’s have taken strongly to the concept but an REBarCamp is not really about a bunch of real estate agents hanging out in the bar. A BarCamp is a user-generated conferences that is full of open participatory workshop-events, the content of which is provided by participants. A REBarCamp is a barcamp for real estate agents. One of the most often words to describe a barcamp is an unconference. A typical real estate conference has a lineup of paid speakers and a strict agenda to follow whereas with an unconference there are no scheduled presentations or paid speakers. The day’s agenda is actually decided during the morning registration period by attendees submitting possible sessions that they’d like to participate in or lead. The sessions are divided up into different groups, and organized by skill level, relevance and potential popularity. Typical subjects for a REBarCamp might include Blogging, WordPress Plugins, Video Blogging, iPad Presentations, SEO, Cloud Computing, Social Media 101 for Agents and making the most of your Smartphone. Just as the “social” experience has taken over much of what we do on the internet an unconference is a conference with big injection of social into it. The attendees not only create the conference and participate it. The first BarCamp was created and organized in one week in 2005 in the US and the first REBarCamp was held in San Fransisco just 3 years ago. Since then over 300 events have been held throughout the US and this year the concept moved to Australia. Sydney was the first Australian REBarCamp, followed recently by Perth and on November 30th the first Queensland event at Brisbane will be held at the Pineapple Hotel. I am one of the organisers for REBarCamp Brisbane so if you are going to be in BrisVegas at the end of November we would love you to join in on the discussion but you better be quick and register. You can read more information about the Brisbane event on its’s Facebook Page and Peter Brewer’s recent blog post. 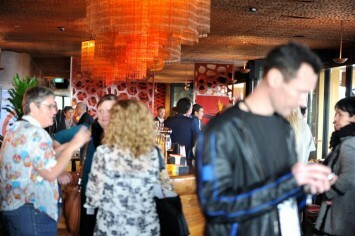 Did you attend REBarCamp Sydney or REBarCamp Perth?? Let us know your experience! 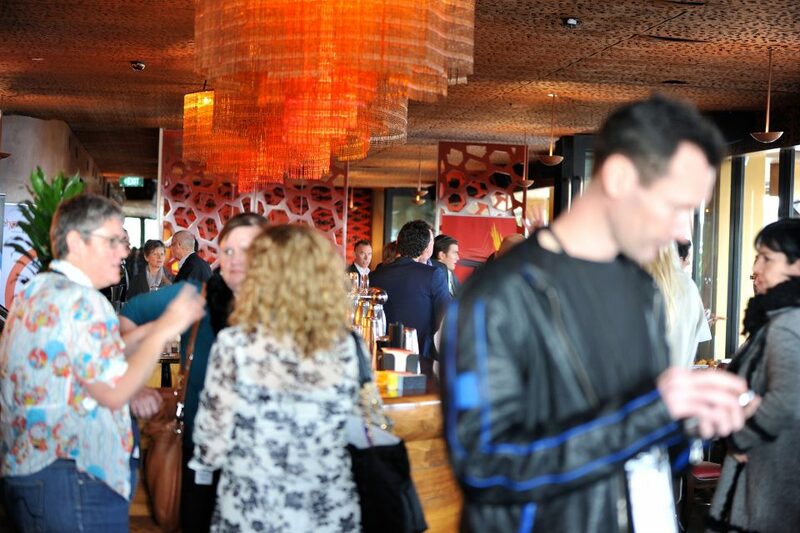 11 Responses to REBarCamp Concept Takes Off in Australia! I was fortunate enough to attend an RE BarCamp in San Francisco in July (where the original one was set up yeasr ago, with the same people organising it still). I sat there with my mouth open most of the day, amazed at how open the US agents were, and the great stuff they were sharing (and doing). They totally got the ‘no spruik’ rule, leave the egos at the door concept, and I think I learned as much in that one day as I did in the whole week of Inman (and Inman was great). So, I was keen to get it over to Perth, and a small team of volunteers organised one on Oct 7th, the day after our huge REIWA Conference on the 6th. Many folks made a weekend of it, and we had some fly in from over East. I was dead nervous on the morning of the 7th – would our agents ‘get the concept’? Would they turn up? Would they contribute? Would we get a dominance by a few, or spruiking by others? How much sharing would go on? All the best with your one in Briso! I loved the Perth bar camp. The knowledge in the room was outstanding and the supportive learning was great. Definitely will be looking to participate in other events. Glenn, I’m all booked in to be at the Brisbane RE BarCamp. I was part of the organising group for the first one in Sydney and as Charlie said with his REBarCamp experience, I found it to be one of the best days learning that I’ve had in 20+ years in real estate. I was away on holidays for the Perth event but found myself drawn to tuning in to the Twitter stream from REBarCamp Perth & I honestly can’t wait for the Brisbane REBarCamp. It’s such a brilliant day of open & engaging learning. Sounds great – who’ll be speaking on ethics in the real estate industry? My understanding is that you as a participant can put this on the agenda Peter. Are you going? You are right, Peter could propose it on the morning of registration. It is important to understand though the participants each vote with their own two feet if they want to be involved proposing something does not guarantee that you will have an audience. Particpants are free to sit in on and move out of any discussion. Anybody trying to spruik or preach a certain line and not allow a collaborative discussion might find themselves without anybody listening. Suppliers thinking that they will use a REBarCamp as a promotional tool for their product for instance have found themselves very lonely. Knowing only to well Peter’s position on that very subject he may be better proposing something that might promote a more positive experience for everyone! Great read.. If I only took just a 10th of what you seemed to have taken from the Perth event I would be very very happy.. Your experience is proof that these things are great for everyone in the industry including suppliers. Ethics to you guys? “Pearls before swine” is the metaphor that comes to mind. Peter, You always lead with your chin. Not a great tactic. Should be an interesting concept, but it does seem to be very technology driven discussions. The example discussions are only what has been popular at other REBarCamp recently both here and in the USA and is obviously influenced by the changes in our industry. There has been other more general topics thrown amongst them as well including one I seen in a list about canvassing in farm areas. You are free to propose any subject you want to discuss.. I reckon print advertising, video and few others would gain some good interest and discussion. Glenn, I think you’re doing a great thing by hosting the first REBAR in Brisbane. I’m sorry I can’t be there, but I know it will be a great success.